Wealth and Asset Management (WAAM) Solutions SA is an independent, Swiss-based private wealth manager and asset management boutique-company built on a commitment to challenge the private banking and fund management industry. Our approach is based on absolute transparency designed to foster Client’s trust, and to avoid a conflict of interest inherent to banks, with the aim to invest over the long term, for our Clients in a way that is totally unbiased. For our Clients, this means we sit entirely on their side of the table, and with our network of carefully selected partners, we bring them innovative and tailored solutions in managing and protecting their wealth and assets. risk management and thorough due diligence approaches. Thanks to over 25 years of financial experience, our goal for our Clients is to reach sustainable and long-term investment successes within a global perspective. WAAM Solutions provide discretionary portfolio management and managed account solutions. For Clients who prefer to retain full decision-making on their investments, we offers advisory mandates. WAAM Solutions believes its mission is to achieve preservation and regular appreciation of Client’s assets over time on a real value basis, i.e. inflation adjusted, based on both strong market convictions and proven investment beliefs. We solely serve the interests of our Clients by providing bespoke solutions and assisting them with attaining their investment goals and objectives. For that, we work independently, but also with other professionals, to develop, implement and monitor the plans to meet those goals and objectives. We aim at creating a strong partnership based on mutual trust and discretion. WAAM Solutions define “real assets” as assets where the Client has a direct ownership and control over them as opposed to “traditional assets” where the Client invests in publicly listed instruments. Private equity and Venture Capital investments. We like to invest and co-invest on a range of real assets opportunities because not only they have different return/risk/liquidity/cash-flow characteristics when compared to traditional assets but also because they provide further diversification and protection during significant market dislocations. WAAM Solutions assists Clients in achieving not only their strategic and financial objectives but also solving their most difficult challenges by providing unbiased, expert advisory and execution services. 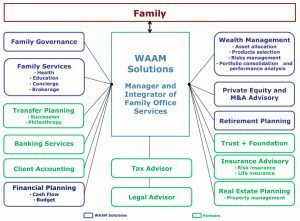 WAAM Solutions’ mission is to serve our Clients by being an expert or a coordinator in integrated solutions for investment, financial planning, family service and wealth structuring. It consists of a consultancy entity offering wealthy families global services to administer their assets and their daily lives in the broadest sense. We also hand-pick the best external services for our Clients, we supervise and coordinate their actions, and negotiate a competitive price. 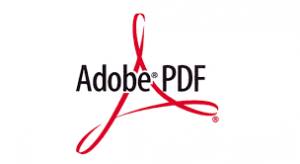 Finally, we undertake to inform our Clients in a regular report using state of the art technology. © 2017 WAAM Solutions SA. All rights reserved. WAAM Solutions SA is regulated by the Swiss Association of Asset Managers | SAAM.